Navigation ⋆ 100% Private Proxies - Fast, Anonymous, Quality, Unlimited USA Private Proxy! Does anyone have any data about navigations and conversions? 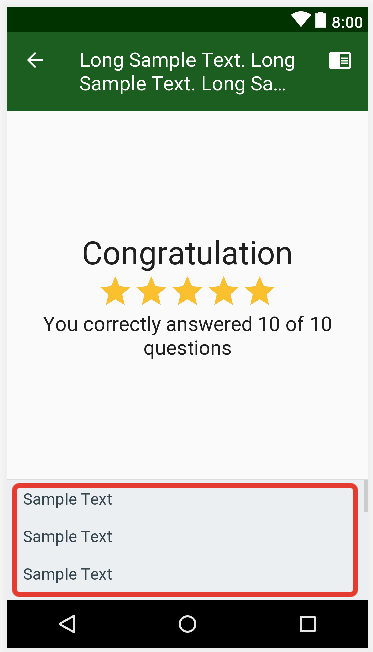 Data about user experience and usability isn’t helping, I need data specifically about conversions if I am to convince them their idea is not a good one. I am a bit new to React. I have a situation where I need to hide some of the navigation bar links in some components where as in other I want to display them. Actually been using react router V4 and typescript. Need to hide page1 and page2 links when it comes to signup and login pages. Show the links in rest of the components. Disable the primary links and mirror them in the dropdown so the user doesn’t miss the link. Does anyone know of any research or studies regarding usability concerns of duplicating links within a navigation structure? When I say “duplicating links” I mean repeating a menu item within the navigation as demonstrated below with “Child link 1”. Keep in mind SEO is not a concern in this situation since this is for an enterprise application. Each Admin can access and manage the account of the customer type below it and manage their own account through the same interface. Therefore Channels manage Resellers, Resellers manage Customers, Customers manage themselves and their users and End Users only manage themselves. Each customer account has a customers list page, a number of settings pages and a user management list page. 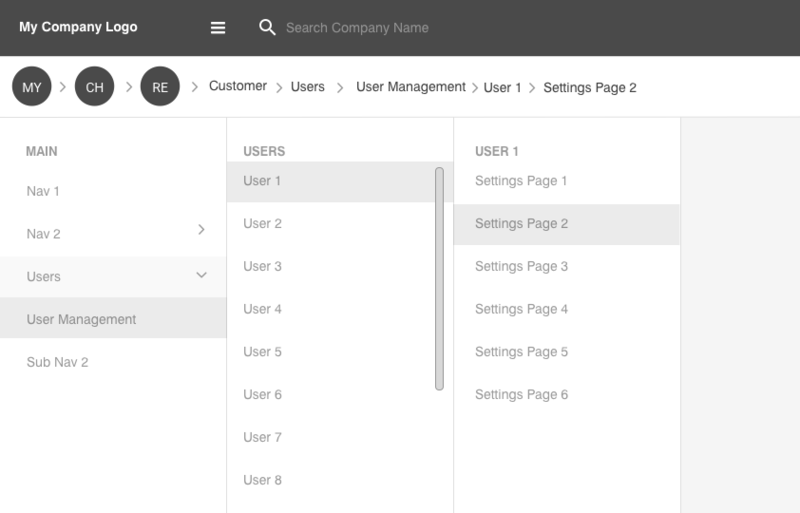 Each User within the user management list page has a number of settings pages. The brand colour of the top bar and the logo change depending on what customer is being managed. 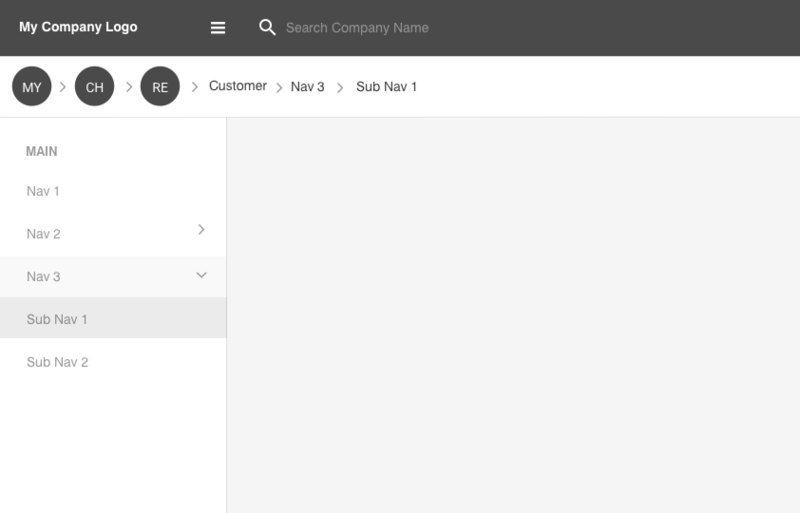 The idea is that My Company, Channels & Resellers switch between customer accounts using the search box at the top or via a list of customer under a customers section. Once a customer has been searched for and selected the brand in the top left corner changes to the brand of the customer being managed and all the navigation below the breadcrumb becomes the navigation for the customer being managed(Similar to how Facebook is navigated). The breadcrumb shows where the customer being managed is in the hierarchy and what page they are managing within the customer account. Is the breadcrumb necessary as it takes up a lot of vertical space? The breadcrumb separates the top bar with the sidebar making the icon for collapsing the sidebar feel disconnected. I am looking for guidance on how to better achieve this channel management navigation. Complete deviations from what I have here are welcome but if there is a way of salvaging this design modal that would be preferred. What can I use to describe this interface? 3 buttons under each other? Bottom sheet? List of options (as on screenshot). Google.com has tabbed navigation in their main search result template (although they don’t style the tabs as such). However, my UX colleagues believe these tabs are not in much use, and they believe this is common for all search UIs: People are not making use of tabbed navigation on result templates. My question: Is this backed up by actual research? I have tried to google the issue. I found a quite recent post from Norman Nielsen on best practices for tabs in general and also a meta-analysis indicating that tabbed navigation yielded issues for some library search UIs. But this study does not answer whether there were problems in the individual implementations or if the strategy of tabbed navigation in result templates as such is flawed. Therefore, references to more research would be appreciated. Needless to say, it would be great if the default relevancy was so good that we wouldn’t need filters or tabs. Also, in our ongoing project, we are employing group results to lessen our dependency on tabs. Nevertheless they remain a key concept in our current templates and we would like to identify whether usability issues are of a tactical (implementation) or strategic (conceptual) nature. I’m including the above screenshot (slightly redacted) as a bonus. We user tested this, and not all users were able to make productive use of the tabs. At that point we didn’t have the result counts, which we hope will yield some “scent of information”. 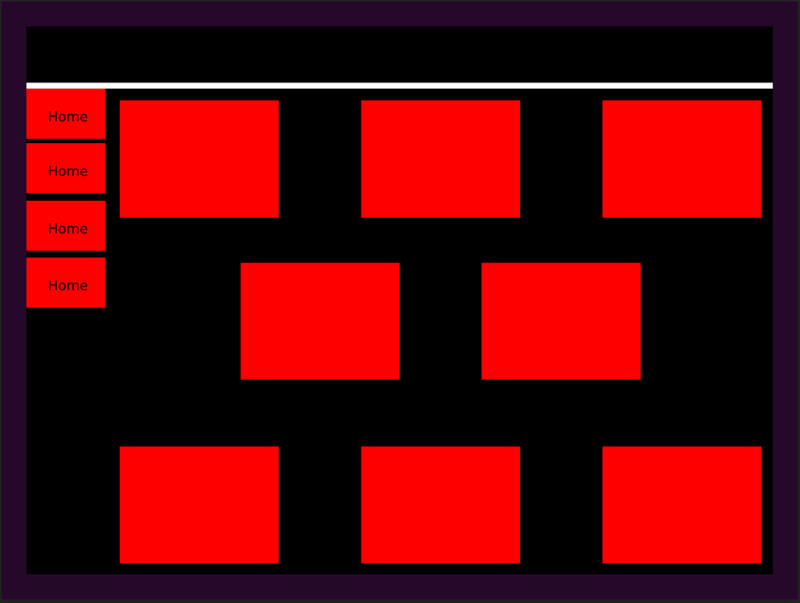 Also we are considering adding borders and background colors to the tabs, as encouraged by Jacob Nielsen. I’m trying to set up a Term-Store based Managed Metadata navigation for my site. I can create as many levels as I want in the term store, but only the top-level terms show in my navigation. I have each term in the navigation set to Simple Link or Header. Whether my header is blank or has a link in it, no drop-downs appear below it when I mouse over or click on it. I have publishing feature enabled on my site- the site is a SharePoint Online (O365) site that was just migrated from SP 2010. I have a task to build app for elderly people(Users). I work in a med tech company therefore my users are often very sick. App will be distributed on our own tablet devices and there will be limited use of smartphones. This is the blockout of the app. Red is content. Navigation is at the bottom. Top bar is above the white line on top. 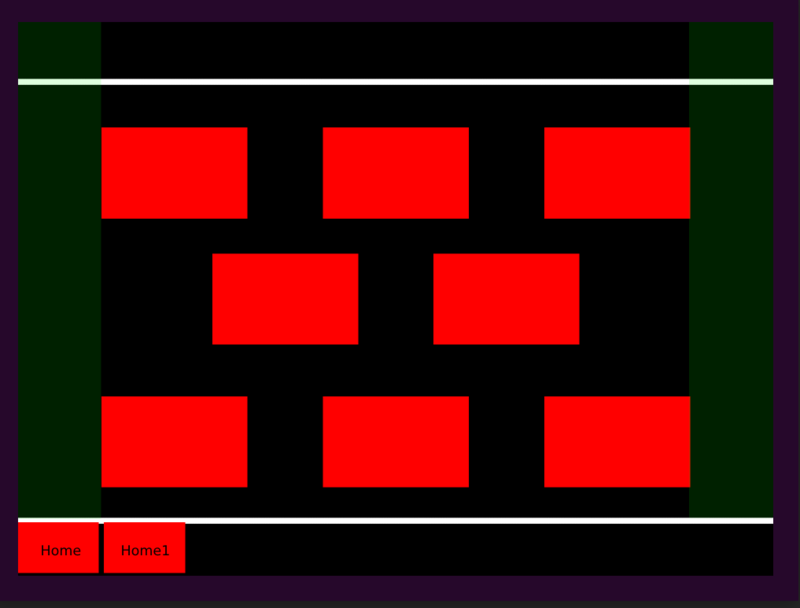 As You can see there is the green color on sides, It is basically free/unused space. Because I wanted to use free space to get my content little bit bigger(Bigger fonts and icons) I wanted to eliminate free space/green space. For that I moved navigation from bottom to the left. Like this. This allowed me to increase the size of the content. My question is: Do you have experiences with left navigations on tablet in terms of UX. Is this something that can work or should I avoid it? What are your thoughts guys ? So if anyone has an idea on how I could do this, please let me know, any help would be greatly appreciated.